What Does Quality Really Mean for Pharmaceuticals? Quality of the pharmaceutical must be the most important thing for pharmaceutical companies. Every person working in pharmaceuticals should always care about the product quality. There should not be any compromise with quality. Pharmaceutical companies are an important part of the medical field. They play a significant role for everyone involved, such as the producer, the doctor who prescribes and the consumer who is the patient. The pharmaceutical industry has been in existence for several years now and is considered to be a key industry in the medical field. 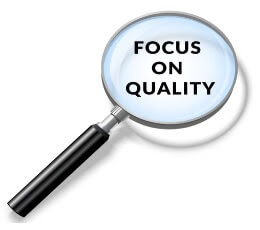 Quality is everything when it comes to the pharmaceutical industry. Not only do the products help in the therapeutic aspect of preventing and treating various medical conditions but they also impact the user's everyday life. For example, an epileptic patient that takes anti-convulsant drugs is protected from having seizures and also has their social wellbeing covered because the embarrassment that comes with spontaneous seizures in public places would be avoided. The quality of the products ensures the better livelihood of the end users of the products and a healthy society. The prescribers of these products demand quality products because quality health care cannot be complete if the pharmaceutical products are sub-standard. A good prognosis is guaranteed when high-quality products are used. For example, an antihypertensive of the highest quality will guarantee effective control of high blood pressure. Pharmaceutical companies describe quality as being one of the make or break factors in the success of the company as a whole. This notion is derived from the fact that a high-quality product, which is produced from the highest quality ingredients will yield better results which are desired by both the prescriber and the buyer. The prescriber will tend to stick to a pharmaceutical product that they are familiar with and that is known to yield the best results. Therefore, it becomes routine to order these high-quality products on their efficiency is well backed by results as observed in the end users. Quality products ensure that better end results in terms of health are achieved. Compromise on the quality of pharmaceutical products would mean a compromise on the overall health of the patients and other clients. It is a well-known fact that good quality products are much more efficient and effective. Production of an effective drug is the ultimate goal of any well-meaning pharmaceutical company. Related: How Does Quality Cost Less in Long Term? High investments have to be made in order to achieve a good quality product. The machinery and raw materials, as well as the technical staff and researchers involved in the production process, are the best in their fields and great at their jobs. This ensures that everyone involved in the production process is a high-quality seeker. This, in turn, gives us the high-quality product because there is no compromise of any sort from start to finish in the production process. In conclusion, high-quality pharmaceutical products are beneficial to the producers and most importantly, to the intended target, the consumer. Quality products are made from the best raw materials and the production process is guided by the best researchers and scientists. This has proven to guarantee a desired prognosis, which is what both the doctor and the patient seek.